Hinkley Lighting Wabash Collection Outdoor lantern has voltage rating of 120-Volts and power wattage of 40-Watts. It has a dimension of 6.3-Inch x 10.5-Inch. This lantern with 7.8-Inch extension, easily accommodates one 60-Watt candelabra based lamp. It incorporates medium socket and clear beveled with etched glass corner panels. 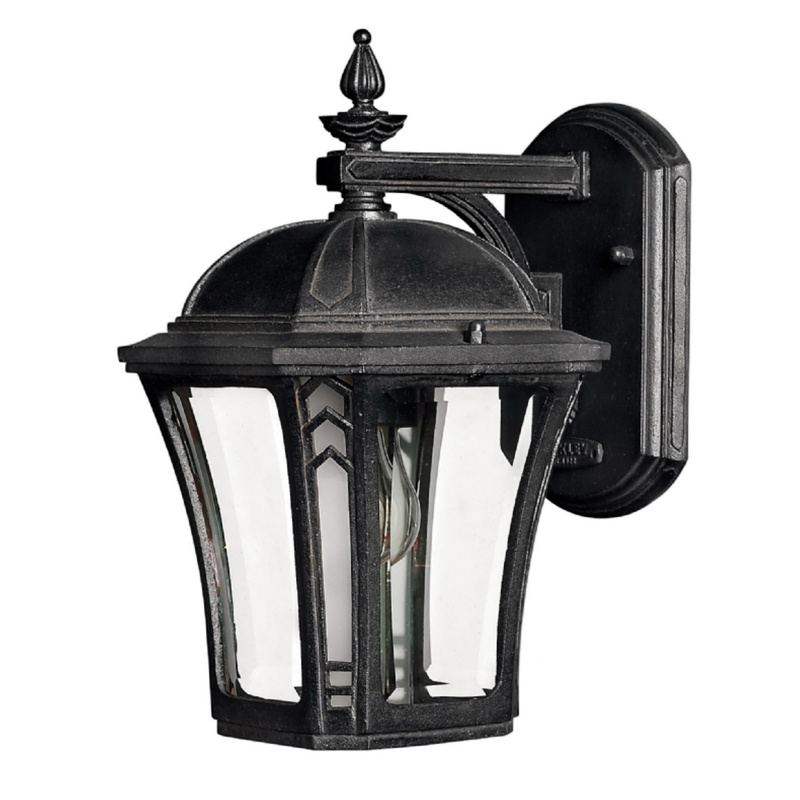 This post mountable lantern features cast aluminum construction with museum black finish. It contains 4-1/2-Inch x 6-3/4-Inch sized backplate. Outdoor lantern is cUS wet rated.